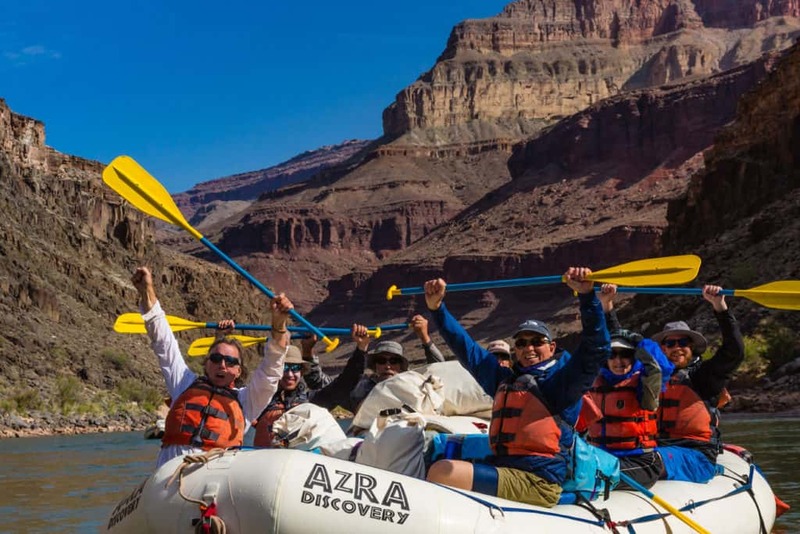 Our All-Paddle Adventure offers the ultimate whitewater Grand Canyon rafting adventure as guests are required to paddle 100% of the time, every day. 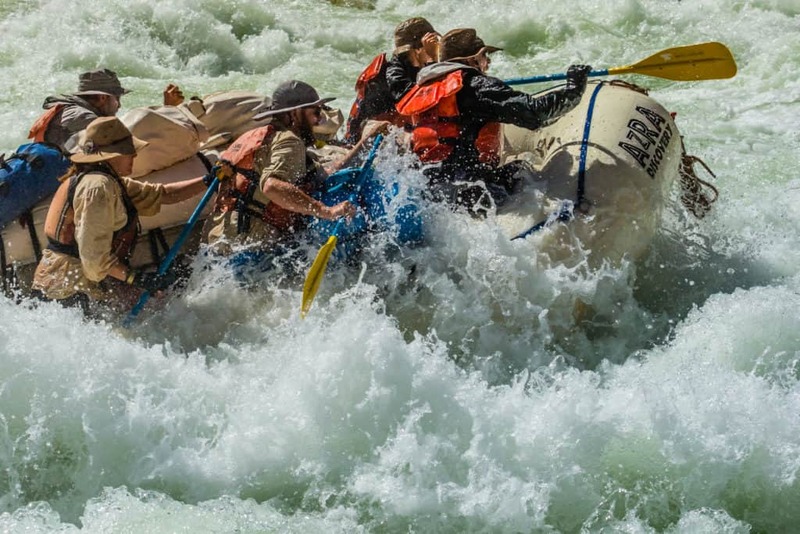 This is the best choice if you enjoy a physical challenge, teamwork and sharing time on the river with others who have a similar zest for adventure. 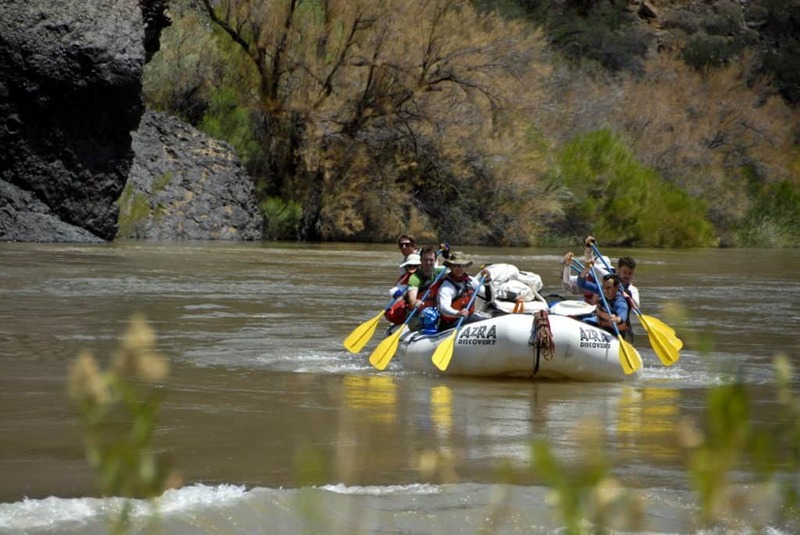 This All Paddle trip offers three paddle rafts and three support oar rafts that carry the gear down river. Each paddle raft carries six paddlers, plus the paddle captain in the back of the raft who steers the raft and calls paddle commands. The camaraderie fostered on an All-Paddle Adventure makes this an unforgettable experience. Our All-Paddle Adventures begin at Lee’s Ferry, river mile 0, and end at Diamond Creek*, river mile 226. In order to shorten this expedition, guests can hike in or out on the Bright Angel Trail. The Upper Canyon Adventure begins at Lee’s Ferry. At Pipe Creek, river mile 89, guests will make their way out of the Canyon on the Bright Angel Trail. Oppositely, the Lower Canyon begins at the South Rim of Grand Canyon, with a hike into the Canyon on the Bright Angel Trail. The Lower Canyon adventure ends at Diamond Creek*. *Diamond Creek, a dirt road alongside Diamond Creek Wash, is the only road to the bottom of Grand Canyon, and could become impassible due to severe flooding. Although this is rare, it is possible that trips may need to continue to Pearce Ferry Road at river mile 279, and could cause our expeditions to return to Flagstaff very late in the evening or possibly the next morning. If you are healthy and fit, I also definitely recommend the all-paddle trip. It attracts an adventurous crowd as a whole and I think it allowed us to take some longer hikes and explore a little more. You also seriously bond with the other people on the trip as you work together to go through some seriously big water.